We finally made it to Ashland, Oregon. The place we're staying at is fantastic and has a large barbecue grill. I decided to take advantage of it and grill fresh corn while the family was having fun in the swimming pool. 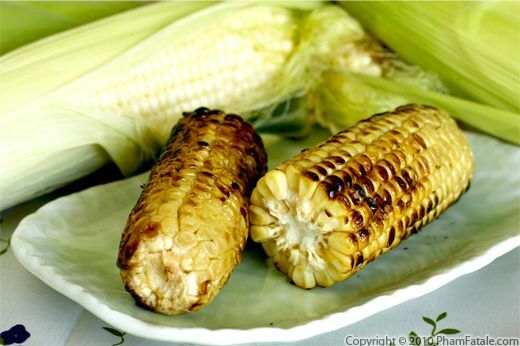 Instead of seasoning the corn with regular salt, I used white miso paste, which is a fermented rice and soybean combination. I chose white miso paste which is fermented for only a few weeks, as opposed to regular miso which is fermented for several months. I find the flavor to be less salty, with a subtle sweetness. Of course, if you don't have miso paste on hand, you could always use regular salt, but what would be the fun in that? Tofu miso soup is very soothing. My little munchkin caught a bad cold and I thought the simple, clear broth would help with her congestion. To make the soup, I started by preparing a kombu dashi (Japanese stock) with fresh ginger. To make the traditional non-vegetarian version, just add shavings of bonito flakes, or dried and fermented tuna. Once the stock was ready, I seasoned it with white miso paste. No salt is necessary as the miso paste is already well seasoned. 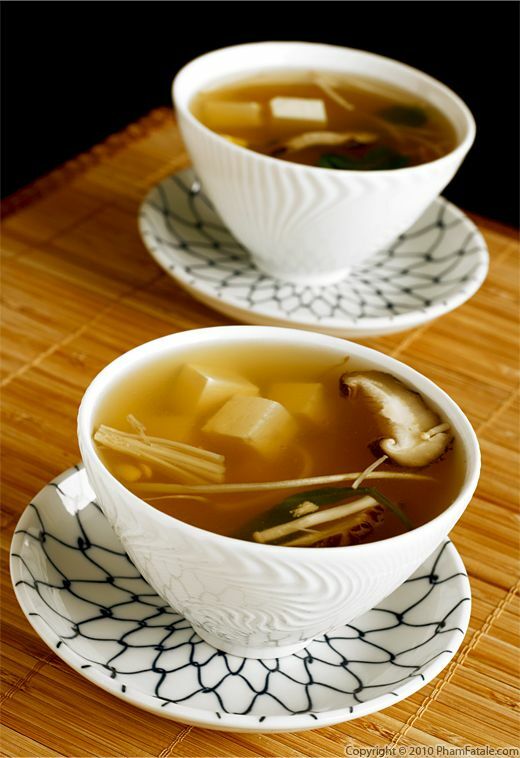 Miso soup can be served with cubed tofu and accompanied with other vegetables such as soybean sprouts, enoki and shiitake mushrooms or baby spinach. Miso paste is a fermented rice and soybean combination. I chose white miso paste which is fermented for a few weeks as opposed to regular miso (several months). I find the flavor to be less salty with a subtle sweetness. 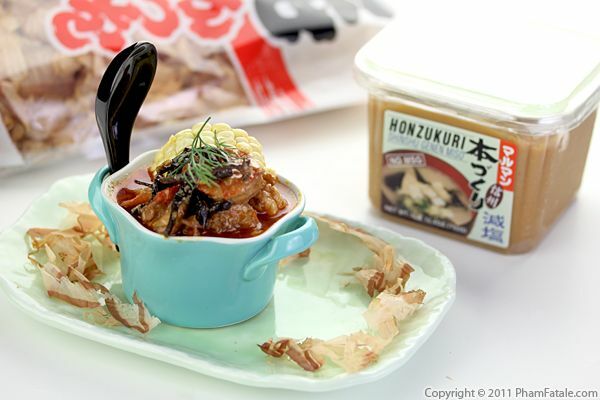 Don't be frightened by the size of miso containers sold in markets. Miso paste stores well in the refrigerator and you can make other dishes with it such as Asian salad dressing, other soup broths and vegetarian gravy. 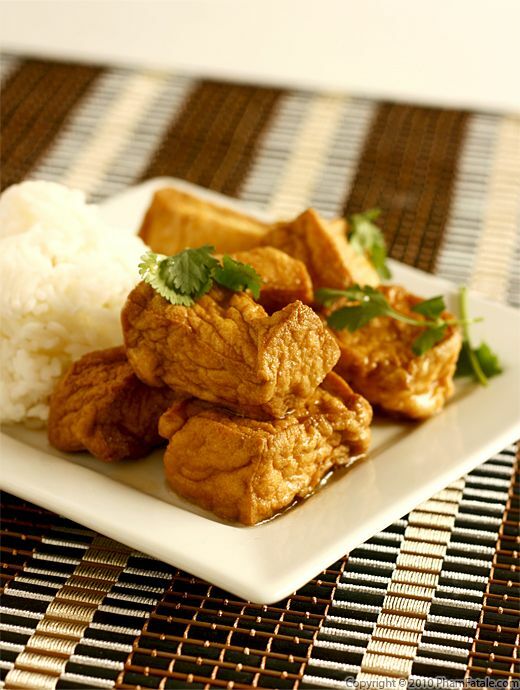 To make this dish, fried tofu is braised (cooked with a small amount of liquid) in miso broth. The recipe is ultra-simple and very flavorful. You could accompany this dish with sautéed Asian vegetables such as bok choy, choy sum, Chinese mustard greens or Chinese cabbage and steamed white jasmine rice. You can also make use of the leftover miso broth. If you want to serve it as a soup with vegetables, add about 1 cup of boiling water to the broth to adjust the seasoning. What you'll end up with is a typical Vietnamese dinner meal: a serving of tofu and/or meat, steamed jasmine rice and soup on the side. 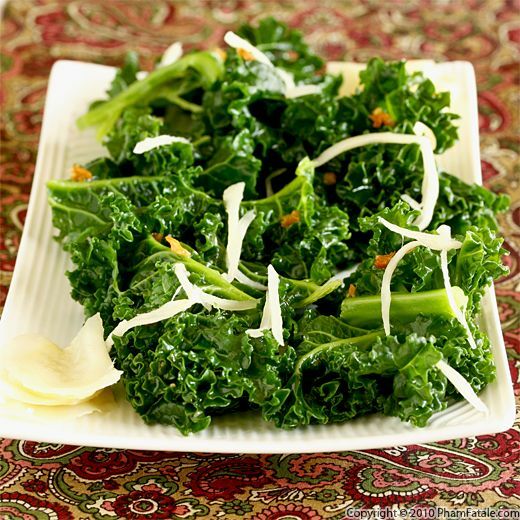 Kale with pickled ginger is one of the healthiest and tastiest ways to get a meal packed with iron. I made my own pickled ginger and an Asian-inspired salad dressing with lemongrass, miso and sesame oil. The result is the perfect condiment for boiled kale. The reason I've been trying to make iron-rich meals lately is that my sister-in-law, Sunny, was diagnosed with iron deficiency. It's a fairly common problem that primarily affects women. She had trouble with the iron pills, so it was suggested to us that we make her foods that are rich in iron. Because of this, I've been trying to cook more with kale. If you have any suggestions, please do share! Sunny will thank you.